4 BEDROOMS, 2.5 BATHS: Ski In / Ski Out. Garage. Private Hot Tub Overlooks The Ski Trail ! MASTER Bedroom: Pillowtop King Bed, TV/DVD, private bath, whirlpool tub. Bedroom # 2: Pillowtop Queen Bed, flat screen TV/DVD. Bedroom # 3: 2 sets of Bunks sleeps 4 kids, flat screen TV/DVD. Bedroom # 4: Pyramid Bed - Double down, Single up, TV and a Wii Game Box. Free Long Distance. Garage Parking for one of your cars. Heated Ski Storage and Boot Room. AMENITIES: Washer/Dryer. Professionally prepared for your arrival with top quality linens, lots of towels, paper goods, soaps, detergents. Complimentary full bag of STARBUCKS Coffee for you. Popcorn for the kids. LOCATION: Loggers Runs are the Best Ski In / Ski Out locations at Snowshoe. Directly fronts on Upper Flume Trail, a Novice run leading to the entire mountain. Soaring Eagle High Speed Quad Lift whisks you from bottom to top in 3.5 minutes...swift !. Shuttle buses stop out front from early to late. A 2 minute walk to Elk River Snowboard and Ski Rental with a 10% advance reservation discount for our guests. 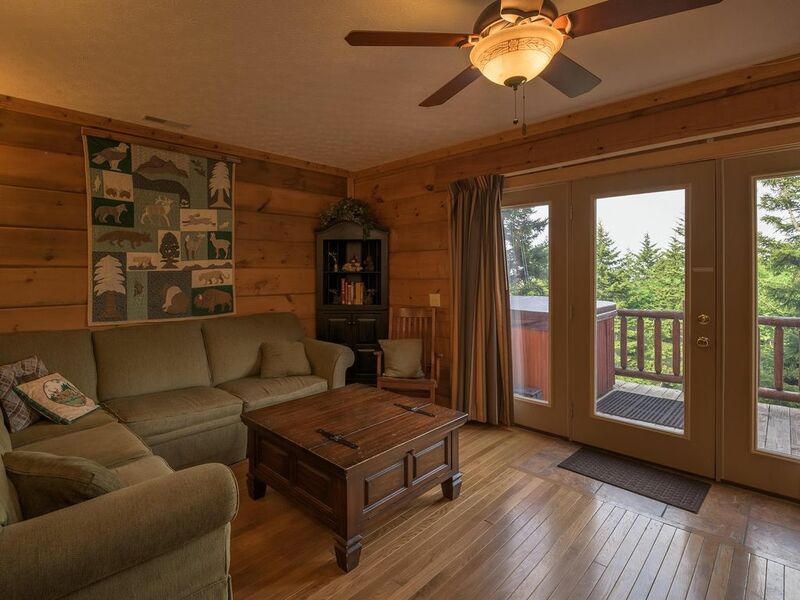 ENJOY: Charming Log Construction, lavish interior, prime slopeside location. Sunrise views. Hot Tub on your deck. Park on one side, ski out the other. Plenty of room for the whole gang and their gear. First rate in every way. Lots of personal touches by the owner. Thank you so much for letting use your condo! We loved the space, hot tub and in and out ski path. This is convenient to a grocery store on the mountain and to the snowshoe village area. We will be back!